Imagine never having to sit in hours of traffic heading to JFK or enduring all the local stops on the 7 line trying to get to LaGuardia? 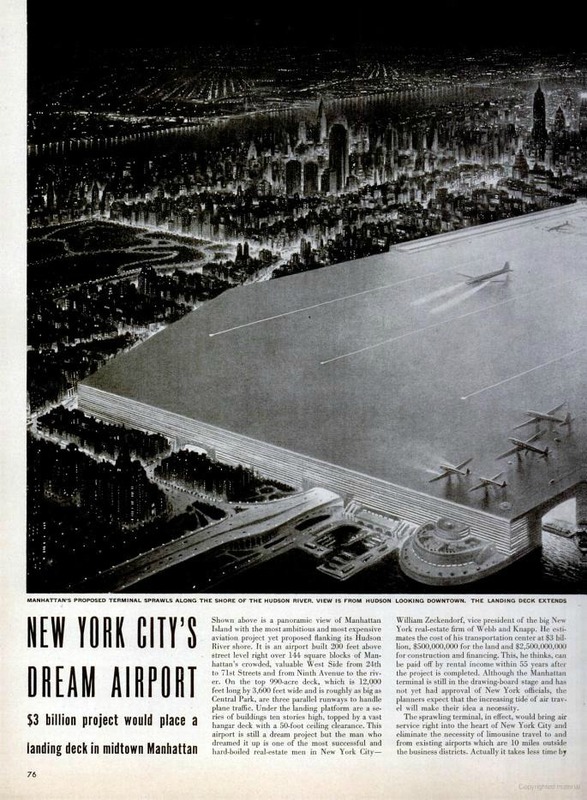 Your dreams almost came true in 1946 with the proposed 990-acre Manhattan Airport, which would have “stretched 144 blocks from 24th to 71st Streets and 9th Ave to the Hudson River at 200 feet above street level,” according to Untapped. 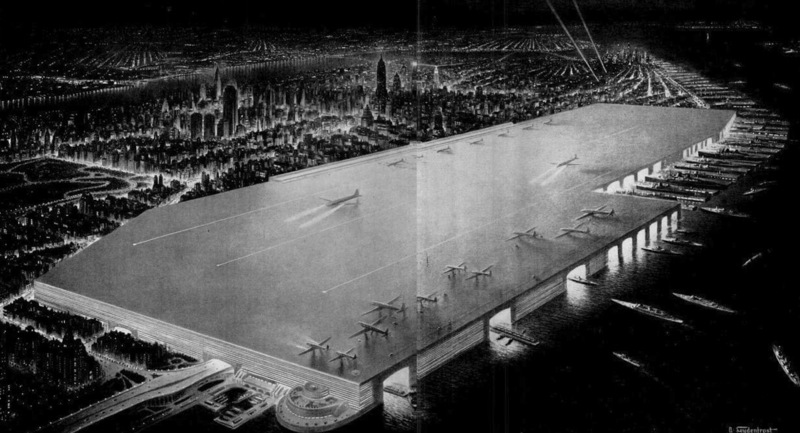 The idea of real-estate mogul William Zeckendorf, who owned the Chrysler Building and Astor Hotel, the airport would have cost a whopping $3 billion, a staggering sum in the 1940s, which was planned to be paid off in 55 years from rental income. The idea obviously never came to fruition, but New Yorkers are still dreaming about alternate air travel options in the city whose airports come in last for mass-transit accessibility. 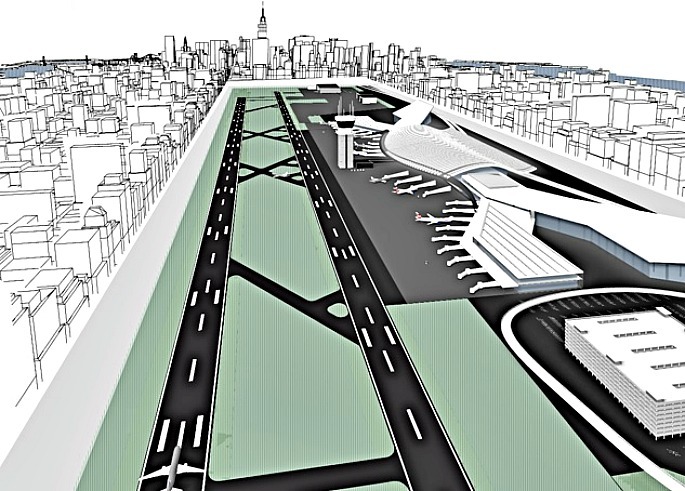 In fact, in 2009 the Manhattan Airport Foundation released a funny plan for an airport in Central Park. Though it was a joke, over 85,000 people signed the petition to bring the project into reality.